With spring training about to wrap up, it's time to take a look at the 2009 Yankees—a hopefully different team than the one who left early in October of 2008. Girardi has strongly hinted that Sabathia would be the Opening Day starter—can you argue with that choice?—and that Wang would follow him. Burnett would be in the 3-spot to break up Wang and Pettitte, both heavy sinker pitchers. And Chamberlain would be in the 5-spot, and would be skipped whenever off days make it permissible, so as not to jump his innings count too much from last year. With Jorge Posada still working out the kinks on his shoulder, the conventional wisdom is that the Yankees will carry three catchers, at least early in the season. Which leaves them with 6 relievers for the time being. Obviously Rivera, Marte and Bruney make the big club. And Phil Coke, who has had a nice spring, should be the second lefty out of the pen. Which leaves two spots left to be filled. Tomko has been a find this spring and has probably earned himself a spot on the roster. The last spot could go to either Edwar Ramirez, Alfredo Aceves or Jose Veras, both of which had decent track records when in the majors. My guess is, however that Albaladejo gets the call, as he has had a nice spring (8.1 IP, 1ER, 8Ks) and Girardi might want to see more of what he can do, while Aceves, Ramirez and Veras, veritible youngsters, get more time in AAA to hone their craft. Ramirez would probably be the first call up when the Yankees send Cash down. (03/26/09) Just found out Jose Veras is out of options, so possibly, by default, he gets the last bullpen spot. Until A-Rod comes back, Ransom mans 3rd base, with Angel Berroa, who has had a decent spring, backing up any spots except 1st base until further notice (Ramiro Pena and Eduardo Nunez who both have had eye-opening performances this spring at 2b and SS have no realistic shots at making the big club). Nick Swisher will back up 1st base and play a variety of outfield roles. The rest of the positions are solid. Center field, the only real spot up for grabs seems to be in Brett Gardner's hands, meaning Melky Cabrera will be the 4th outfielder and first man off the bench. 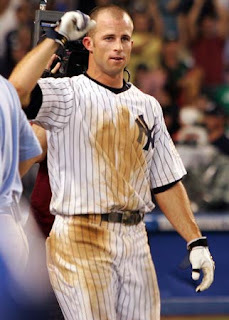 Johnny Damon and his weak arm will man left field and Xavier Nady and his relatively strong arm will man right field. The Yankees have an added bonus with Swisher and Cabrera coming of the bench, as both are switch hitters and can play a variety of positions. Posada will be the everyday catcher, but not really. While he is still the starting catcher for the Yankees, Girardi will treat him with kid gloves—especially during the early days of the season—and not run him out there 145-150 games this season. Which means Molina, and potentially Cash will get more playing time as Girardi sees fit. Matsui and his balky knees will be the everyday DH—unless Posada gets a half-day off and bats in the DH spot. Overall, an improvement over 2o08—and not just because Posada and Wang are back. Gardner provides speed and terrific defense in the outfield. Teixiera provides a better bat, and a non-Frankenstein approach to defending 1b. Cano seems to be more focused and Nady can't be any worse in defending RF. 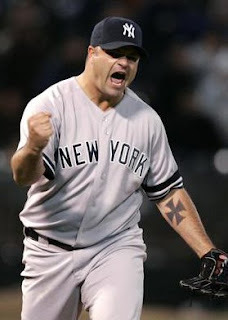 And of course, the 2009 Yankees wont have to rely on Sidney Ponson and Darrell Rasner to fill out their rotation. 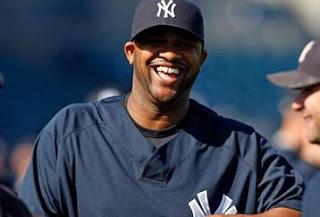 Burnett, Sabathia and a healthy Chien-Ming Wang are as solid a front 3 as their is in baseball. The Yankees relief corps has Rivera for one more year—always a good thing—and a healthy and svelter Bruney to handle the 8th. As previously stated, the 2009 Yankees seem a better ball club defensively and in their pitching. Which is good, because with the Rays and Red Sox, the Yankees will need to be at the top of their game.